As South Florida's premier wedding photography studio, we have had the pleasure and honor of photographing weddings at some of South Florida's most popular and luxury wedding venues. Our personal experience as professional wedding photographers in South Florida allows us to offer some insight into the experience brides and grooms will have at some of the best wedding venues in Fort Lauderdale and Palm Beach. This is a short list of our favorite Wedding venues in Fort Lauderdale. This doesn't mean we don't like other wedding venues throughout Fort Lauderdale, but more a list of our favorite wedding venues we feel are the best in Fort Lauderdale. The average wedding cost at Fort Lauderdale Marriott Harbor Beach Resort & Spa is estimated at between $25,043 and $25,241 for a ceremony & reception for 100 guests. The Marriott Harbor Beach resort is one of our favorite wedding venues along Fort Lauderdale Beach. There are many great spots for amazing wedding photography and the beach at sunset or sunrise provides great lighting for beautiful bridal portraits. The Resort is outstanding for guests flying in for your wedding with amenities to suit anyone. The catering is spectacular and the staff incredibly helpful. The average wedding cost at W Fort Lauderdale is estimated at between $28,488 and $39,279 for a ceremony & reception for 100 guests. This is a chic wedding venue with everything for any wedding and wide variety of budgets. We love the W fort Lauderdale Beach for its great photo background and luxury wedding feel. The catering is top notch, staff incredibly helpful and a choice of ballrooms for a variety of guest counts. the Conrad is the newest hotel resort that recently opened along the beach in Fort Lauderdale. I was invited to an open house for wedding vendors and was impressed with the outdoor pool and reception area and amazingly grand main ballroom. The Conrad Fort Lauderdale Beach is purely amazing with everything a bride and groom seeking a luxury wedding could ask for. The Ritz Carlton is known for opulent luxury weddings. this is our favorite wedding venue in Fort Lauderdale for location, photo opportunities, catering, and overall bridal experience. If you can afford to get married at the Ritz Carlton Fort Lauderdale or any of the properties in South Florida, I totally recommend them. This is a list of some of our favorite wedding venues in Palm Beach. Although there are many amazing wedding venues throughout Palm Beach, this is a list of our favorite wedding venues we feel are the best in Palm Beach. If you can afford an opulent luxury wedding and want the very best in Palm Beach, the Breakers will not disappoint. The Breakers has the best of everything for any bride with the finances to host their wedding here. The Breakers is the site of celebrity weddings and where the wealthy stay and dine when in Palm Beach. There is no better or more luxury wedding venue in Palm Beach or South Florida for that matter like or that compares to the Breakers! The Breakers Palm Beach hotel in Florida. The resort's wedding menus have prices starting at $325 per person and goes up to $700 per person, while rooms at the famed hotel start at more than $600. Our other favorite wedding venue in Palm Beach is the Boca Raton Resort and Spa. The Boca Raton Beach resort offers opulent and luxury amenities, amazing photo opportunities and a beach club. The Boca Raton Resort and Spa along with its beach club provide brides and grooms with amazing options from a luxury Beach front wedding to an ultra luxury wedding reception in the Cathedral room. The Boca Raton Resort and Spa is an amazing experience for any couple looking for the very best wedding day experience. 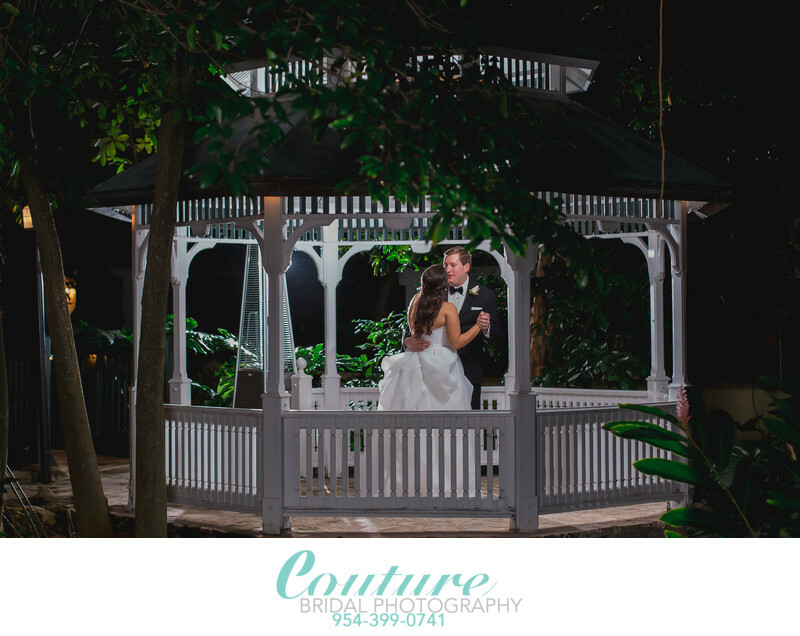 Couture Bridal Photography is the top rated wedding photography studio in Fort Lauderdale and Palm Beach. We are the preferred and most trusted wedding photography studio at the Best Wedding venues throughout South Florida. As a professional wedding photography studio we are insured and welcome at any wedding venue in South Florida. If we aren't on a list at a wedding venue anywhere in South Florida, and you want us to photograph your wedding contact us. We will easily contact and speak with any wedding venue director or manager and will certainly be welcomed to shoot your wedding day. Just understand wedding venue managers do unfortunately take money under the table from wedding vendors to influence your vendor selections whether they are a match or not. Most people who know me know I'm all about honesty and transparency. I operate Couture Bridal Photography with a high moral and ethical approach and have no qualms or issues exposing things I don't like about anything, including wedding venues and the wedding industry as a whole. Although most wedding venues have managers, directors and owners who are honest, caring and sincerely looking to provide the best for their brides and grooms, there are others who only like to line their own pockets with the influential position they are in. There are some wedding venues who push and insist couples hire specific wedding vendors due to payments wedding vendors make for each wedding or up front. This practice is unfair to couples who may not know who they would best match with when planning their wedding day. Wedding Planners also tend to do the same influencing decisions a couple to choose vendors for their own financial gain. Couple planning a wedding anywhere in Florida or around should be aware and use due diligence and use the wedding vendors they sincerely want, not solely based on a wedding venue or planners suggestion. Location: 1 S County Rd. Palm Beach, FL 33480. 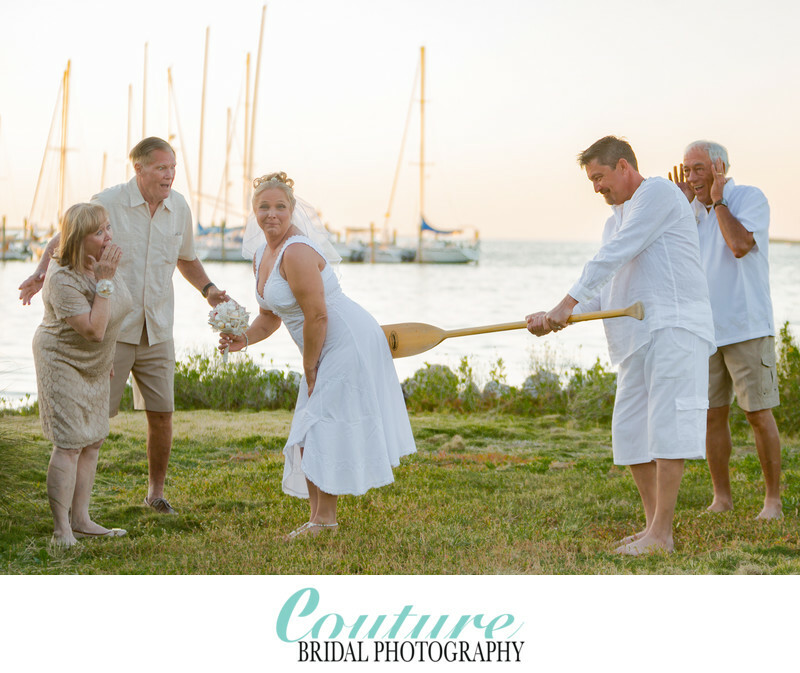 Keywords: Bridal Portrait (120), Florida Keys (15), Key Largo (9), Ocean Pointe Suites At Key Largo (3). 1/160; f/2.8; ISO 125; 70.0 mm.